For this large burrowing bee, mating season isn’t just competitive – it’s deadly. Dawson's burrowing bee is one of the largest bee species in the world. Dawson's bees are solitary bees, and live in individual nests in the ground. After hatching, Dawson's bees remain in their burrows until fully mature. The Dawson's bee's mating season is highly competitive, and males will sting each other to death to secure themselves a female. 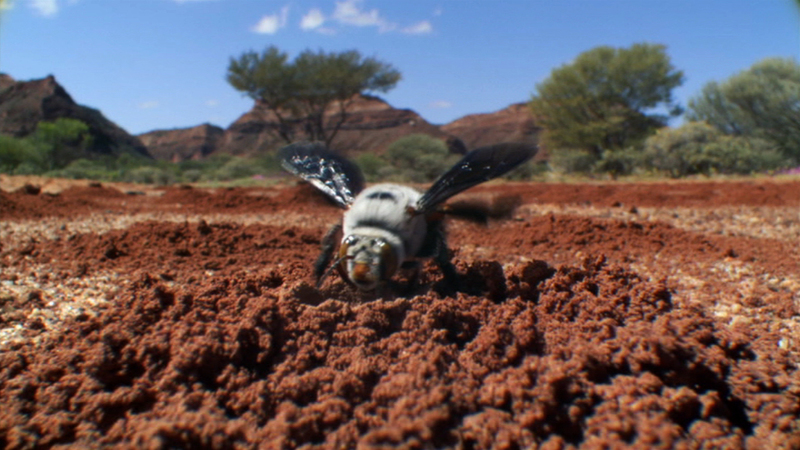 The Dawson’s burrowing bee of Western Australia is one of the largest bee species in the world. They are solitary bees, which means they live in individual nests rather than forming communities. Nonetheless, Dawson’s bees tend to stick close together. Here, thousands are living alongside one another.